All the treasures in this world are Yours. Lord, the fulfiller of desires saves mortals in the end. When You are my beloved, so what hunger and desires can I have? When You dwell within my mind, sorrow does not touch me. O True Lord and Master, True is Your Order. At your abode, there is forever justice. O True Lord and Master, You are beyond our knowledge and are mysterious. Nanak is committed to Your service. 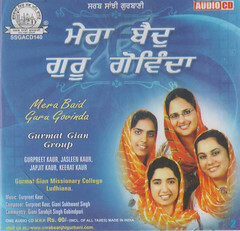 This entry was posted in Shabad Kirtan and tagged Bhokha, Gurbani Kirtan, Gurbani Sangeet, Gurmat Gian Group, Gurmat Sangeet, Gurpreet Kaur, Japjit Kaur, Keerat Kaur, Keertan, Kirtan, Payaro, Shabad, Shabad Kirtan, Sikh Music. Bookmark the permalink. 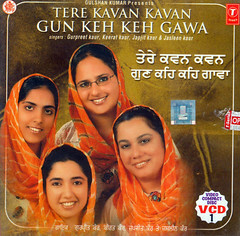 What a mesmerizing Gurbani Kirtan!!! 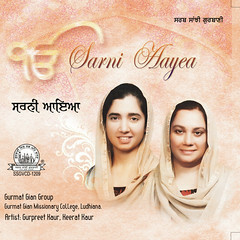 I don’t have any words to express myself after listening to this Kirtan in your beautiful voices. Waheguru ji has granted you marvellous voices. Keep it up!!! May Waheguru ji shower all His choicest blessings upon you and and your Jatha and you always keep doing the Sewa of longing souls through Gurbani Kirtan. 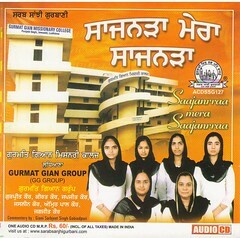 Thanks a lot for the appreciation and encouraging words which will give us the strength to improve further and keep singing Gurbani. tu mero piyaro ta , is masterpiece. Is it Jaupuri or Assa Vari , not too clear. Its wonderfully sung neverthless. The First half of this Shabad ‘Tu Mero Piyao Tan Kaise Bhokha’ is in Raga Darbari Khanara and the Second half is in Raga Assawari. Excellent composition and I like the way how you move from one rag to the other. May Waheguru ji shower all His choicest blessings upon you and and your Jatha and you always keep doing the Sewa of longing souls through Gurbani Kirtan. Splendid!!!! !Very we;; rendered. May God bless the team with kirtan glory for ever. 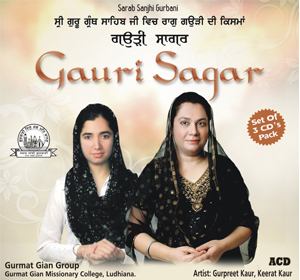 Thanks for appreciating the Gurbani Kirtan. Please keep sharing with us more beautiful bani in your lovely voices. No word to appreciate,but a ardas is always to waheguruji to bless you all shakti to keep praying waheguruji by singing gurbani shabads throught you life till the last breath. 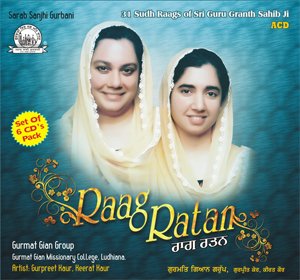 Dhan Wageguruji kripa kern ehna bachyian te and parwarey te eh sad hi isee taran gurshabad -kirtan dwara sikh sangat nu jiahal kerdey rehn.. Thanks a lot Shanti Sidana ji for your Blessings. Thanks for the appreciation. Your idea of Online Simran is Great.